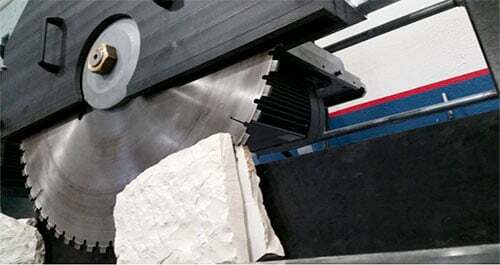 Mec is a leading company in the production of splitting and finishing systems for concrete shapes. Thanks to the experience and constant research for innovative solutions, Mec has perfected over the years by applying special technical contrivances to the concrete splitting machines that guarantee a top-of-the-range split profile and, studying rapid and efficient automatic handling systems. Even these plants can be configured to measure both in the handling systems, in the dimensions and splitting forces. Mec offers plants characterized by a simple automation, ideal for those approaching the world of splitting for the first time or having limited production requirements. However, they are customizable systems with which it is possible to obtain different finished products. More complex plants that allow the management of the loading, unloading, handling and splitting of concrete blocks in a completely automatic way, suitable for big productions. Mec offers even smaller, manual or automatic machines, specific for some processes, such as waste recovery or horizontal splitting.